On Saturday evening, in Monaco's Media Centre, a 'Briefing Note' hit the shelves. It was from David Ward, Secretary General of the FIA International Court of Appeal, and criticised heavily the five motor manufacturers who jointly issued a statement implying the ICA to be suspect when it came to matters of independence and transparency. Ward, considered by many to be an employee of the FIA through his position as Director General of the FIA Foundation, described in his paper the main requirements of contemporary sport's governance. "The ICA procedures are independent, fair and transparent. They are also efficient and capable of providing swift decisions which can be challenged in civil courts. Given that National Sporting Authorities and National Motoring Organisations are the bodies that act for appellants and respondents when appeals are brought before the ICA, both the Judges and Secretary General are, in fact, elected by, and exclusively accountable to the users of the court." Overall, Ward made a convincing case in his briefing note dated 20/5/2005, and most in the media centre wished to believe him, despite strong perceptions that the ICA is not transparent, nor independent. "Max (FIA President Mosley) took a hard line on BAR and wanted them thrown out of the entire Championship. I told him to come back from that a bit because I was worried Honda might leave the sport. I asked him not to go for an entire season's ban because it would also not have been good for the sport." Now, assuming Ecclestone's statement to have been totally on the straight and narrow and, assuming the ICA to be the totally fair and transparent judicial body Ward avers it to be, why would the commercial rights' holder even suggest he asked Mosley 'to come back from that a bit'? Worse, BAR-Honda's penalty was 'back a bit' from what Mosley had indicated his preference as being before the hearing, so, even the weakest conspiracy theorist would be hard-pressed to ignore the allegations of collusion between Ecclestone, Mosley and Ward's ICA. "To maintain such a critique (as did the five manufacturers - our insertion) without the slightest evidence amounts to a fundamental attack on the basic organisational structure of the sport. It is a stance that directly conflicts with the requirements of the Nice Declaration which recognizes that federations must continue to be the key feature of any form of organisation providing a guarantee of sporting cohesion and participatory democracy (Ward's italics) and clearly demonstrates that the manufacturers have, at best, a limited understanding of the principles of contemporary sports governance." Has sufficient evidence not now been supplied, Mr Ward? Much has been written about Ferrari and Bridgestone, of how the latest tyre regulations have disadvantaged the team beyond all proportion. And, of course, Bridgestone has put on a brave face as it shoulders the blame - a task not made easier by Ferrari President Luca di Montezemolo's reported outburst during a recent a meeting of Italian industrialists. Introducing Alberto Bombassei, boss of his team's brake supplier Brembo, he said: "If the tyres we have today worked as well as the brakes, then our Ferrari would win every race..."
Setting aside our previous analysis of the situation, statistics from the Monaco Grand Prix provide telling tales which suggests that, whilst Bridgestone have some catching up to do (and readily admit to that), the blame does not rest solely on their shoulders. Whilst year-on-year comparisons can prove rather dangerous, they can, nonetheless, provide indicators, particularly where variables are eliminated, or recognised and adjustments made accordingly. So, whilst the face of qualifying has changed since last year, the first Saturday session from last year bears comparison to the qualifying session of this Saturday past, simply as weather conditions were similar and cars ran low fuel weights and speed trim on both occasions. Then, race conditions were sufficiently similar to remove most variables bar those brought about by changes to technical regulations, including, crucially, tyres. Pole position last year was set by Jarno Trulli (Renault), but as the Italian moved to Toyota, his performance has been ignored, and times set by erstwhile teammate Fernando Alonso, this year like last with Renault on Michelin, used as base. The Spaniard hooked 1:14.916 in 2004 to place third in provisional qualifying, improving his time for this year to 1:14.125 - well-nigh 0.80 seconds - and second on the grid going forward to Sunday morning. Michael Schumacher, Ferrari and Bridgestone last year timed 1:15.329; the same combination worsened, by contrast, to 1:16.166 in this year's Saturday low tank qualifying runs. "A clear cut case of tyres being the problem, then", I hear you say. "After all, what else could it be - Schumacher skill's are above reproach, Ferrari's facilities amongst the best, and their management basically unchanged. Only the tyre regulations have changed, and Bridgestone not kept pace." The word in Monte Carlo's paddock was that Ferrari had been sending out exactly such a message via favoured journalists in the hopes of embarrassing Bridgestone into accepting responsibility for what has proven to be a rather lack-lustre display by the Italian team to date. Of course, comments made after the event (by Schumacher, in particular) indicated that Ferrari's F2005 was extra-quick in race trim, but lacked qualifying pace - suggesting its tyres were unable to find sufficient heat during for single-lap bursts. The German pointed to his fastest race lap, set with a fuel-heavy car after a few tyre-heating laps, as proof. Cue: Bridgestone to blame. What he overlooked, conveniently maybe, is that those (far) ahead of him were hardly pressed to circulate faster: leader Kimi Raikkonen was on a proverbial Sunday afternoon cruise, had little reason to tax his car during unrewarded accomplishments, whilst eventual podium placers Nick Heidfeld and Mark Webber were first stuck behind Alonso, then cruised unchallenged as teammates a mile behind the Finn and as far ahead again of the Spaniard. 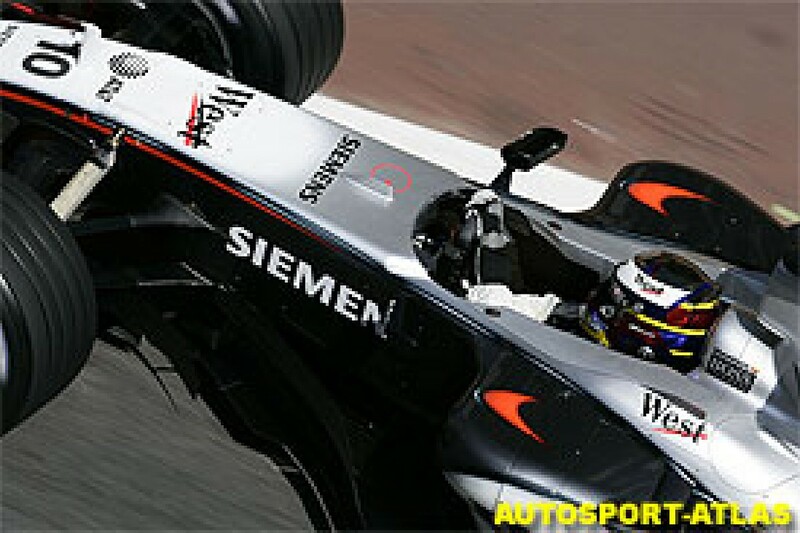 Then Juan Pablo Montoya, out to gain a good points finish after failing to impress Ron Dennis on more than a few occasions recently, failed to find fresh air after coming up behind the battling Alonso. So, that is the top five accounted for, leaving the way open for Schumacher to claim the kudos of fastest lap. However, given that this year's grid was generally quicker than last year's, would it not be fair to expect that Schumacher's fastest lap, too, would be faster than his 2004 flyer? It was over 1.4 seconds down. Analysis of another team, also on Bridgestones, shows that, far from slowing year-by-year on the same tyre brand, it improved its single-lap qualifying performance by more than double Renault's margin over the same period! Minardi's Patrick Friesacher hammered in a 1:18.574 a week ago, whereas Zsolt Baumgartner's fastest time for Minardi a year ago was 1:20.468 - a positive variance of 1.80 seconds for the tiny team, also running Bridgestone. Now, the Austrian may be a better prospect than his Hungarian predecessor, but by better than two seconds a lap on the shortest circuit of all? Equally, Christijan Albers, in the second Minardi, was the same gap ahead of Gianmaria Bruni's 2004 Saturday qualifying time. Incidentally, the Italian finished runner-up in this year's Monaco GP2 race by just 0.6 seconds, so cannot be too shabby a driver. 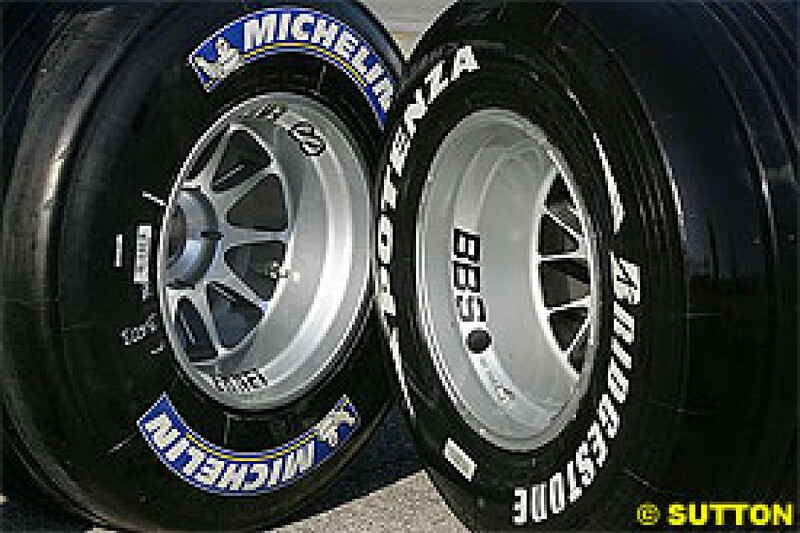 How can it be that Minardi, with, bluntly, fairly basic facilities, are able to craft a new car to the new regulations which proves quicker by far than its predecessor on the same brand of tyres at the same circuit, yet Ferrari's Bridgestone-shod F2005, built by 700 highly-qualified and -paid people, proves a second, at least, slower than the F2004? Every indication is that Monaco 2005 was quicker for all, whether on Michelin or Bridgestone - except Ferrari. Possibly there is more to the gathering rumours that Ferrari's design department is about undergo massive changes?